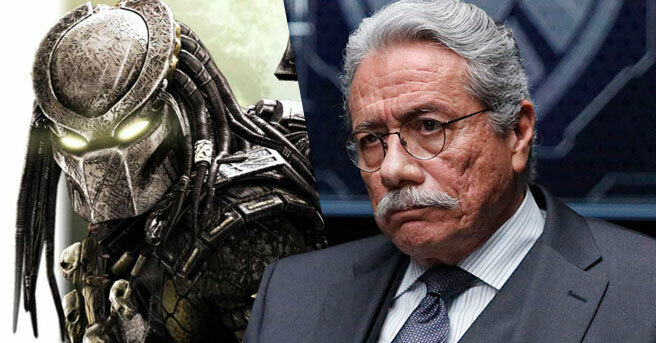 Shane Black's The Predator has been in the works since 2014. With a shooting schedule that was pushed around numerous times and several reshoots for the final product, it looks like one of the actors from the movie has been cut altogether. 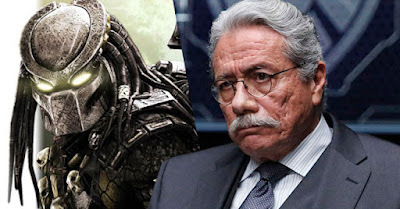 While trying to trim the fat to meet the studio's guidelines for length, Edward James Olmos' character has been completely removed from Black's newest entry in the Predator franchise. Many fans of the actor will be disappointed. "I'm not in the show though. It was too long so my character, they had to take me out. They were like half an hour, 3/4 of an hour too long. So I understand why". With the studio requesting that 30-45 minutes be cut in total, it wouldn't be a surprise if more support players are missing from the cinematic release.